Introduced to the United States in 1872. 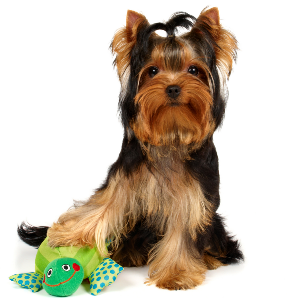 Stubborn tendencies may be reduced via reward-based obedience training. 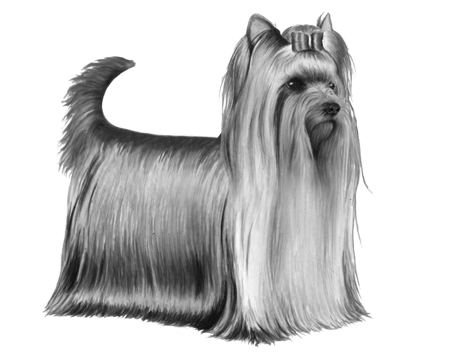 Enjoy dog sports such as earthdog trials, agility, rally, tracking, flyball, Frisbee, musical freestyle, and obedience. 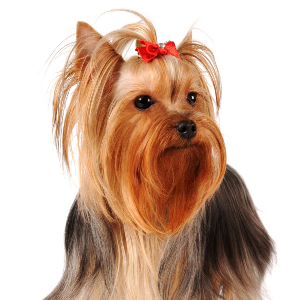 Although they get along well with other small dogs, Yorkshire Terriers may bark when confronted with larger dogs. In the 19th century, Scottish weavers were forced out of work because of the industrial revolution and moved to northern England in the hope of supporting their families. They also brought their dogs with them. 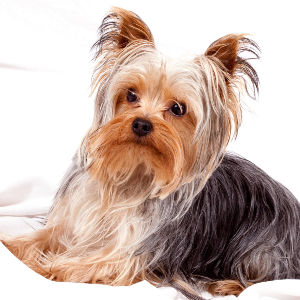 The Yorkshire Terrier we know today evolved from this breed, with many believing that the bloodlines of Paisley and Clydesdale Terriers were also added to the mix. These lovely dogs were introduced to the United States in 1872. 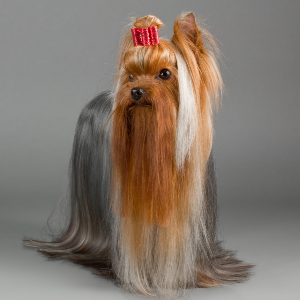 However, they were very different to today’s Yorkshire terrier. 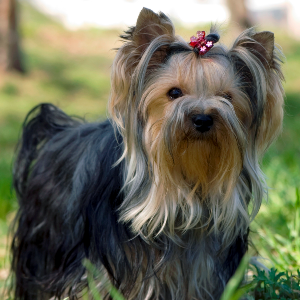 Selective breeding has reduced the average weight of the breed from 30 pounds to less than 10 pounds. Over the years, they may have gone down in weight, but never in our estimation.